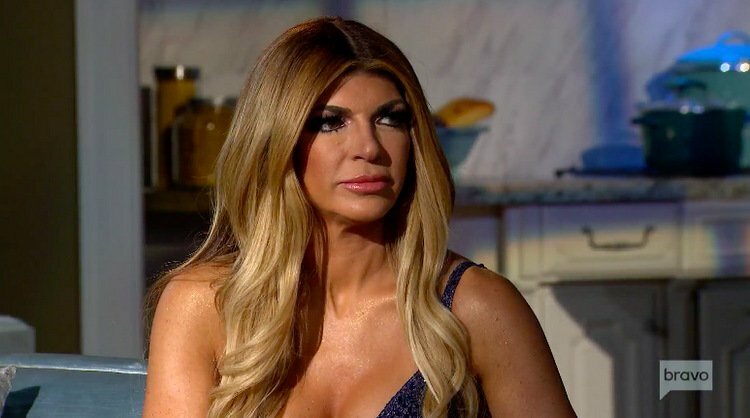 More than anything, it’s safe to assume that Teresa Giudice wants some privacy for her family these days. Unfortunately, that’s just not going to happen. A judge declared that her husband Joe Giudice will be deported to Italy after finishing out his prison sentence in March 2019. Sure, he still has 30 days to appeal the decision, but Teresa actually tried to lighten his initial sentence before he event went in. Apparently Teresa reached out to Donald Trump, who she knows through her stint on Celebrity Apprentice, to help her man back in 2016. That did not work out, but will she end up trying again? Have you heard the news? Donald Trump finally found the time to devote to the Celebrity Apprentice. The upcoming season has been delayed foreverrrr because His Royal Douchiness has been way too busy. In September, Trump admitted that he was too busy acquiring golf courses (no joke) to put Celebrity Apprentice on the fall schedule. And because he’s the Trump, NBC waited… and we waited… not so patiently. The wait is almost over. NBC announced this morning that the Celebrity Apprentice is set to premiere Sun, January 4th. If any of the “explosive” rumors are true, it’s going to be a trainwreck. Rumor has it that Kate Gosselin set her sights on being Trump’s new BFF, Brandi Glanville and Kenya Moore didn’t get along, Brandi turned to drugs and alcohol to cope, and Kenya really pissed off both Vivica Fox and Donald Trump. Um, did I say trainwreck? I meant glorious trainwreck. Check out pictures of the new Celebrity Apprentice cast below. Celebrity Apprentice Featuring Brandi Glanville, Kenya Moore, Kate Gosselin, And More Premieres January 4th! NBC has revealed the cast and premiere date for Celebrity Apprentice. The new cast includes Olympian and Dancing with the Stars champion Shawn Johnson, talk show host Leeza Gibbons, actor Lorenzo Lamas, singer and reality TV star Kevin Jonas, snowboarder Jamie Anderson, MLB’s Johnny Damon, actress Vivica Fox, talk show host Geraldo Rivera, Jon & Kate Plus 8 star Kate Gosselin, actor Ian Ziering, comedian Gilbert Gottfried, Deadliest Catch’s Sig Hansen, Real Housewives of Beverly Hills star Brandi Glanville, actress Keisha Knight Pulliam, NFL’s Terrell Owens, and Real Housewives of Atlanta star Kenya Moore. Season 7 of Celebrity Apprentice premieres Sunday, January 4 at 9/8c. We are very sad to report that Apprentice and Ultimate Merger star Omarosa Manigault’s brother Jack Manigult was murdered last Sunday morning in his hometown of Youngstown, OH. The local newspaper reports that Jack, 40, was shot several times, including a fatal shot to the head, after his home was broken into by a man who was previously dating Jack’s current girlfriend. The assailant, Marco Cardenas, who is currently on probation for a felony breaking and entering case, forced his way into the home of Jack Manigault and ran into the bedroom where he fired several shots. He was arrested shortly after the murder and found armed. Jack, who served a 2 ½ year prison sentence for aggravated assault and was arrested in 2003 for obstructing official business and possession of drugs and weapons, has since turned his life around according to family. Our sympathies are with the family in the wake of this incredible tragedy. May he rest in peace.